The yule log was discontinued before the Christmas 2012 season, the explanation being that the design of the annual display left no room for the fire pit, so it was covered over. I, for one, didn’t realize that we have lost a treasure–until it was too late! I did find a Facebook page dedicated to resurrecting the fire pit: Bring Back the Yule Log. I’ll be following that page, too. Here is a more recent letter written by Marsha Schmidt on January 4, 2014 explaining her memory of the yule log and her efforts to have it reinstated. I think that Jeremy and I should support the return of the yule log and make it our special 2014 mission! Podcast #48- Only Hours to Go! Podcast #48- Click here to listen to this week’s podcast- It’s Here! Today we wrap-up our countdown to Christmas 2012. It has been 364 days since we set out on our journey to spend every day of the year sharing or learning something about Christmas. What a great and wonderful journey it has been! Listen this week as we reflect on our favorites and regrets; the things we still didn’t get to do, and the best parts of the whole experience. 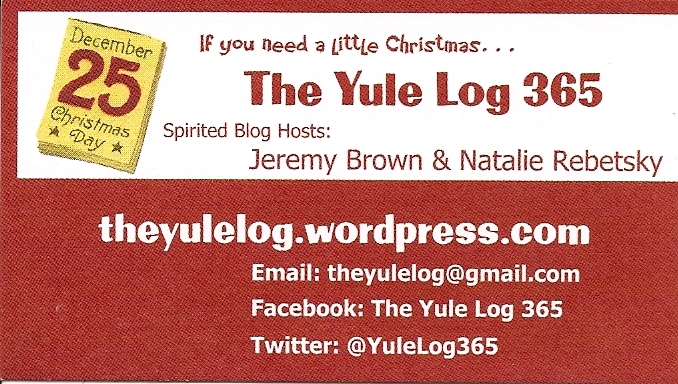 You’ll need to listen carefully to the end to hear about our plans for Christmas 2013 and the Yule Log 365. While we won’t be doing a full 365 days of posts we will still be bringing a year of Christmas to all our readers. Thank you to all those who listened in or read a little and to our closest followers for all the support in 2012. We will be giving it our all for 2013! MERRY CHRISTMAS!! 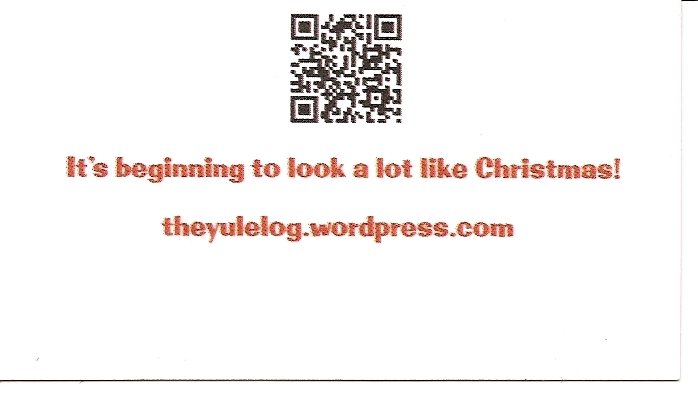 The Yule Log 365: What’s in a name? Jeremy celebrated the arrival of our “calling cards” yesterday in our daily blog posts. The choice of “Yule Log 365” is an obvious play on the words “Yule,” an ancient word often used synonymously with Christmas, and “Log,” referencing the celebratory fire burned during that season and the synonym for “journal,” which is what this has become. Those who have received the cards, have admired our personal designation of spirited blog hosts and the use of the QR code on the back (a sign of the always evolving technological times). I’m excited to have something to hand someone when he/she gives me the now customary quizzical look when I try to explain our adventure in the preservation of Christmas joy. Checking out an online etymology dictionary, Yule has so many connections to our adventure. 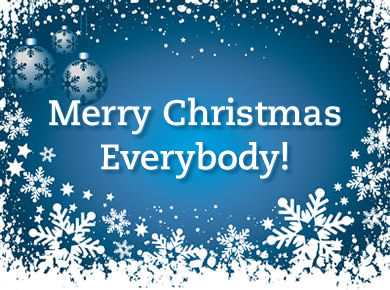 Old English words Geol and geola mean Christmas Day and Christmastide and are similar to the Old Norse word jol. It was a pagan feast time associated with mid-winter that was later adopted and adapted by Christianity. This two-month season corresponded to December/January. After conversion to Christianity, the Yule season was specifically equated with the 12-day feast of the Nativity. Jol is similar to an Old French word, jolif, which is where we get the word, jolly. 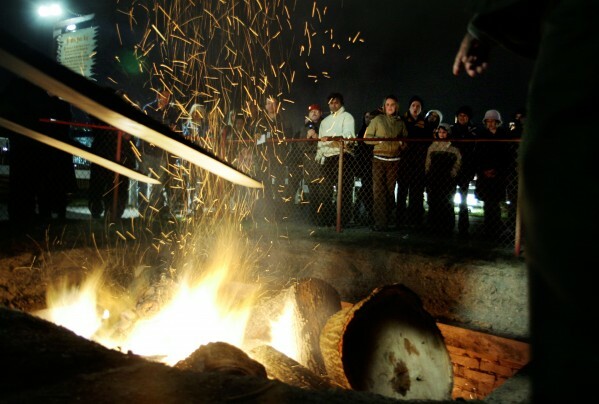 Burning the Yule log probably stems from the ancient fire and fertility festival in pre-Anglo-Saxon times and evolved into a happy ritual of burning the largest log that could be found. References to these occur throughout history, including Englishman Robert Herrick’s writing in the 1600’s and Robert Chambers Book of Days in 1832. Even today, if there’s an indoor Christmas scene depicted on a Christmas card, a cheerful fire is usually in the center! It looks like the Yule log has been co-opted into plenty of religious and non-religious practices, including the traditional depiction of Father Christmas carrying a Yule log on his back to the strangely uninspiring Yule log fireplace videos on YouTube. I’m intrigued. 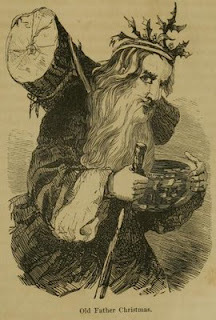 In the coming days, we’ll be reporting plenty more Yule customs, both ancient and modern! It’s Official! We have cards. The Yule Log is 100% official now. Not just a passing fancy or diversion since we have our new business cards. We have made it past the two month mark! Many doubted our seriousness for this project and maybe even our ability to stick to it. All wrong! You have about 10 more months of us and our Christmas fun:) To mark our move into the next quarter of the calendar year Natalie designed some great cards for our site. We plan to use these cards to spread the word of our work so all can read and listen to our spirited insight. Thank you to our loyal supporters! If any of you would like some cards to share with friends and colleagues, just let us know. Here’s to moving out of the 300s in our countdown! This is our first podcast, recorded live in our studio on December 26, 2011. Topics include yule logs, holiday tunes, Boxing Day, and the 12 Days of Christmas.